A tell-tale sign that winter is fast approaching, mornings get darker and the nights get longer. This means it is essential to keep wrapped up in your best thermal snugs. But which coat do you wear to get you through? 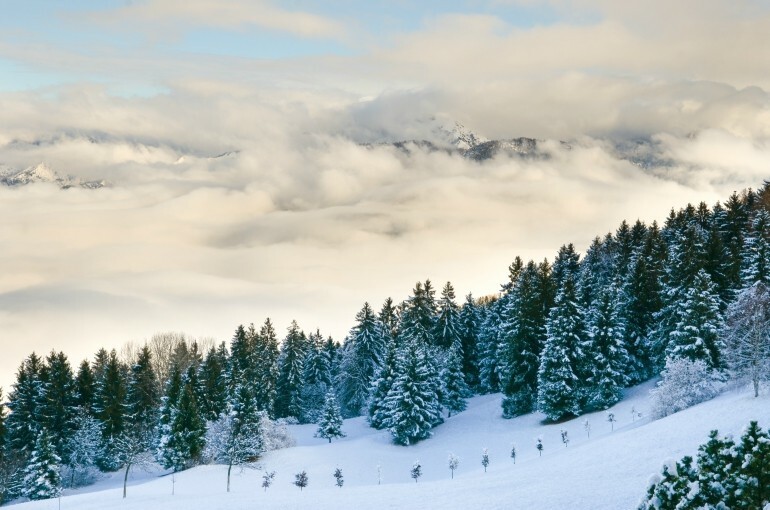 You’ll probably need a jacket on any given day in October or November and in the lead up to full winter blasts, a bomber jacket will help you pull through. To stay warm, many men will opt for this type of jacket this season (and who wouldn’t?) but there a few things to remember. It is important not to underestimate their actual size when you may not be in the best shape; nobody ever said the Michelin Man’s look was a good one and remember to stick to subtle colours, the bright orange bomber jacket may have looked great in the early 90s but understated neutral colours will do the trick. 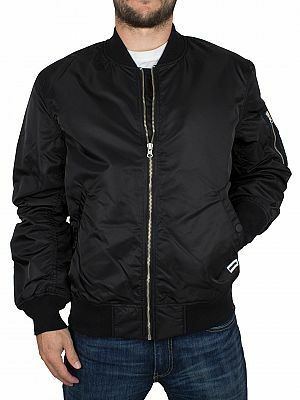 The MA-1 Bomber Jacket from Converse comes in Black, featuring a varsity neck and full zip closure. This casual men’s jacket comes with twin buttoned side pockets with brand logo attached to the left one, a Zip pocket on the left sleeve, counter climate, durable, water repellent and elasticated cuffs and hemline. Khaki tones have been the core garments of our wardrobes throughout 2016 and they’re not about to do a disappearing act now. Army jackets are perfect for casual wear and can be teamed up with thick sweaters and even hoodies. They allow you to layer up in style and look great with a long-sleeved t-shirt underneath. 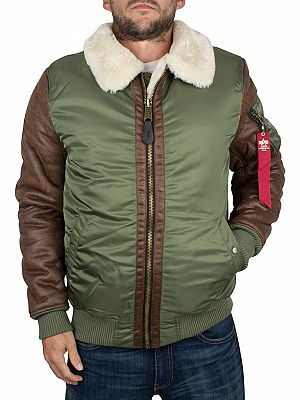 The B3 Fur Collar Bomber Jacket from Alpha Industries comes in Sage Green, featuring a fur trim collar and leather sleeves. With buttoned front pockets, inside pockets and a zip pocket on the left sleeve, this jacket comes with full zipper closure and a fur lining including inside the sleeves. The hottest styles of classic coats usually come with a double breast, in a slim cut, with a Cantona collar. Seen on the likes of David Beckham and David Gandy you can’t go wrong with a smart, edgy coat. Mid lengths seem to be the most universal right now although if the coat fits, and you like it, mix, match and style it to your look. 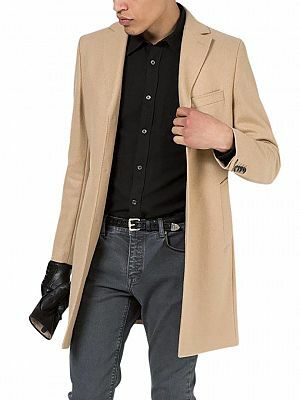 Featuring a wide notch lapel, the Wolger Compact Melton Coat in Sand by J Lindeberg also has two pocket design to the front along with a chest pocket, long sleeves, loose cuffs and button closure to the front. This coat also features slip on back, Inside pocket and logo on left sleeve cuff.